Despite the summer months being typically slow for the coin business, hundreds of rarities are still changing hands. Obviously, some sellers are taking profits, believing now is a good time to sell while buyers are aggressive. On the other hand, buyers still feel confident enough in the long term market to make these purchases at current levels. Taking a glance at the NumisMedia 500, many true rarities have advanced over the last several weeks. Six of the top twenty market advances are rare coins that just do not come on the market all that often. 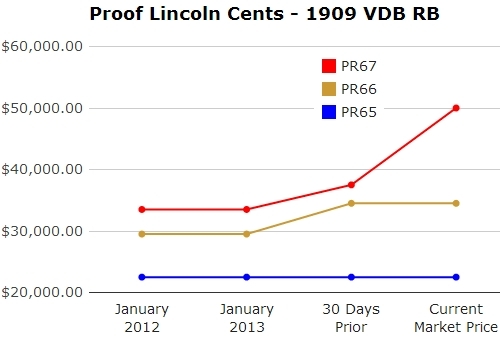 The top coin for the past month is the 1909 VDB RB in PR67; this Lincoln Cent advanced 33.33% to a new high of $50,000 Market. There are just 4 coins certified in this grade with none higher. There are, however, 5 coins certified in PR67 Red and 2 in PR68 Red. Below are a few other rarities that advanced this past month. 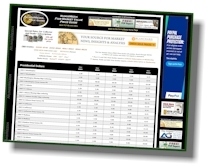 This week’s LD Wholesale Market Dealer Price Guide displays a long list of advances in Half Cents and Large Cents. The 1793 Liberty Cap Half Cent in MS64 jumped to a higher $125,000 Market; there are only 5 coins certified in MS64 and just five graded higher with MS66 is the highest certified. There are no RB or Red coins certified higher than MS63 RB. The 1793 Chain Cent AMERICA increased to $270,000 Market in MS64, while the 1793 Wreath Cent Vine & Bars moved up to $265,000 in MS66. The latter coin has only five coins certified in MS66 BN, although there is one coin certified in MS69 BN. Shield Nickels have gained some ground of late with several dates advancing in MS63 through MS66. The demand for the radically rare 1880 has led to higher Market prices for almost all grades from VF through MS65. This coin typically brings premiums in all grades as long as the planchet is not damaged. There are only a total of 60 coins certified in VF through AU58 by both PCGS and NGC with just 33 coins in all Mint State grades. 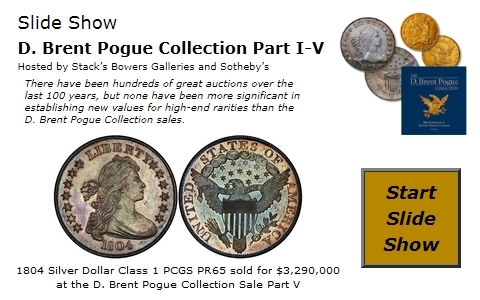 The highest is MS66 of which PCGS has certified two coins. After the initial excitement of the release of the Proof Gold Kennedy Half Dollar prices have drifted to more realistic levels. There have been plenty of coins shipped and received and then sent to the grading services and supplies seem to be enough for the current demand for PR70 coins. This past week, offers to sell PR70 Gold Kennedy Half Dollars have been as low as $1,700 for PCGS and $1,600 for NGC. 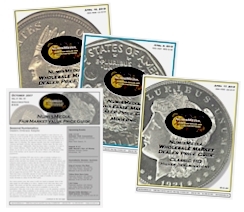 As more coins are graded, prices may be set by strong retailers running mass sales programs.